Friedrich Wilhelm Ludwig Leichhardt (1813-1848? 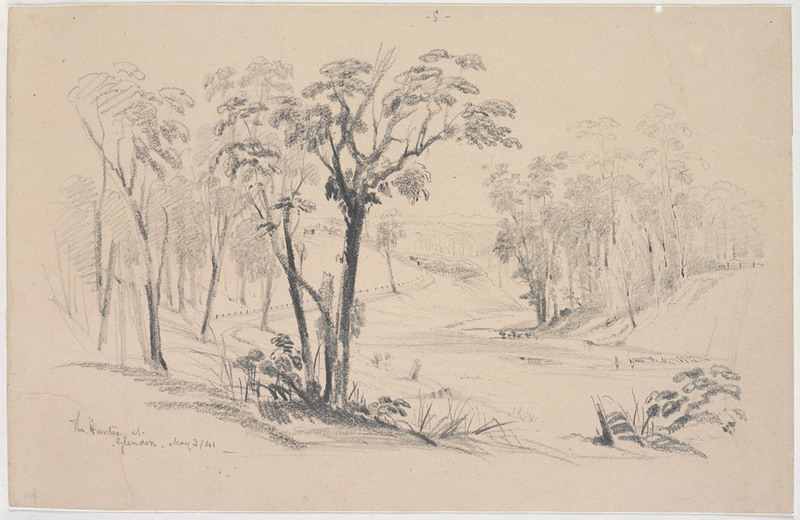 ), Prussian born naturalist and explorer, visited Newcastle and the Hunter Region on his journey of explorations through Australia during the years 1842-1843. We have prepared this timeline below of his chronological movements throughout Newcastle and the Region to assist a German documentary team, planning to produce a documentary for German Television to co-incide with the 200th anniversary of Leichhardt’s birth. 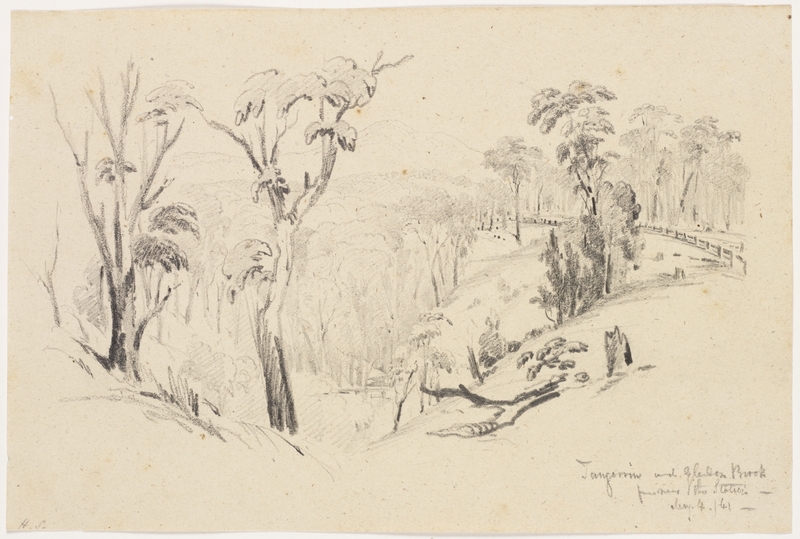 Where possible we have illustrated his travels with contemporary sketches and plans executed close to the time from our own collections, as well as those of the National Library of Australia and State Library of New South Wales. The information has been sourced from The letters of F.W. Ludwig Leichhardt collected and newly translated [from the German, French and Italian] by M. Aurousseau (London : Published for the Hakluyt Society by Cambridge University Press, 1968). The University of Newcastle’s Cultural Collections in the Auchmuty Library hold’s Marcel Aurousseau’s personal library. He is the translator of Leichhart’s letters into the English language. The original letters are held in the State Library of New South Wales Mitchell Library. 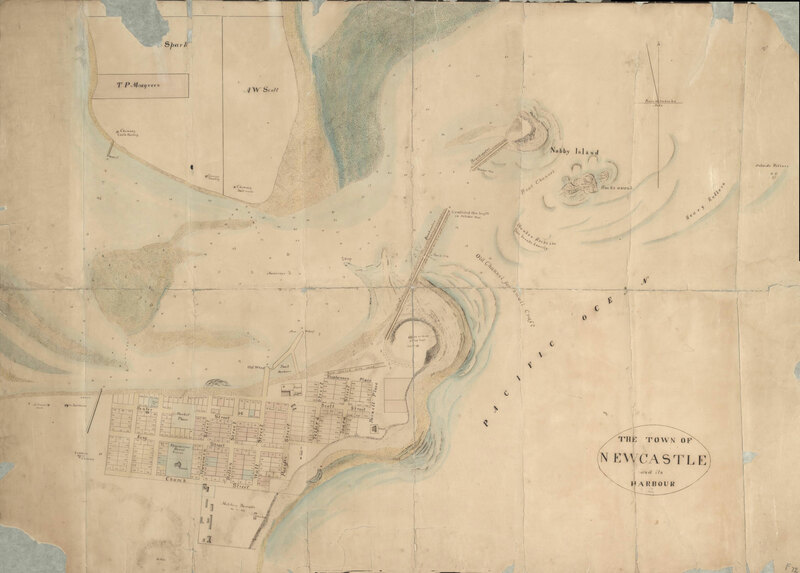 Leichhardt leaves Sydney by sea for Newcastle with Alexander Walker Scott. 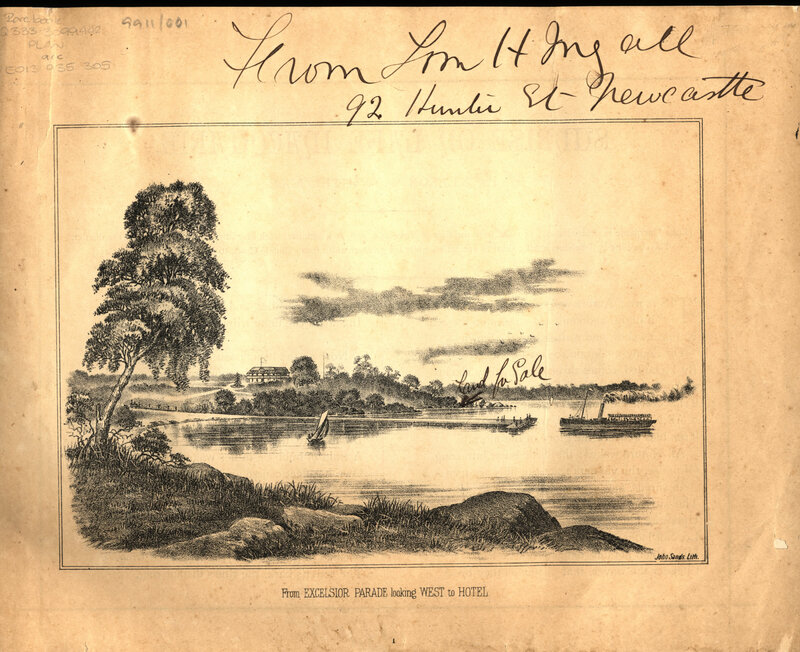 Leichhardt arrived Newcastle in morning and takes breakfast with Alexander Walker Scott. 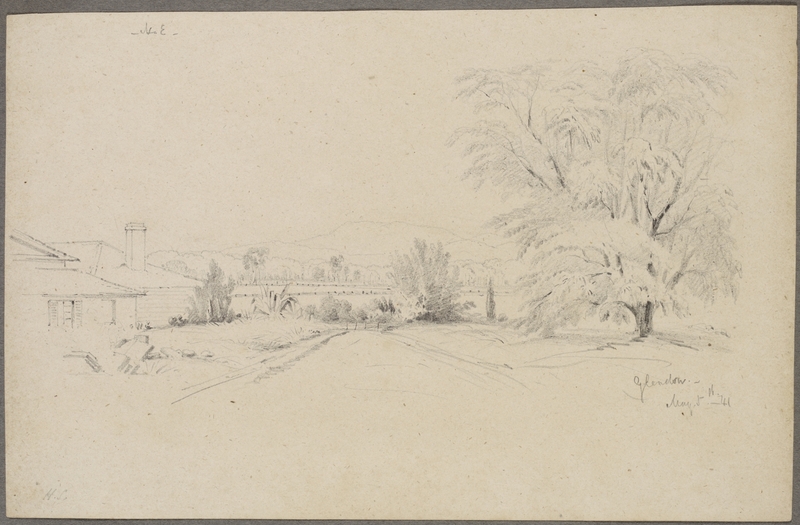 Taken to Scott’s Salt Works (built around 1836 – ref. Bingle) on Stockton and visits rest of Scott’s property there. from [Album of] Pencil sketches, watercolours, etc. Leichhardt meets Reverend C.P.N. Wilton and studies the coastal geological section at Nobby’s Island and southward. Newcastle. Writes letter (62) to Lt Robert Lynd. Fishing from the rocks with Alexander Walker Scott. f.5 Nobby’s Newcastle. Unsigned. Undated. Untitled. Newcastle. continues letter (65) – describes Morris’s Bath (i.e., Morrisett’s Bath aka Bogey Hole), and describes the coastal feature overlooking the gaol i.e. today’s ocean baths, as a kind of Charybdis, a fissure in rocks that produces a funnel blowhole sort of thing. Returns to Newcastle. continues letter (65) – with a report from day before? Shepherd’s Hill, Redhead, beyond Valley of the Palms, two natives enjoy oozings from honey comb. Two black identified as John M’Gill (king of Lake Macquarie tribe and Gorman, King of another clan, both enjoy damper and honey and have a sleep. Sets out on walking excursion to Brisbane Water with Flood (Post Master). 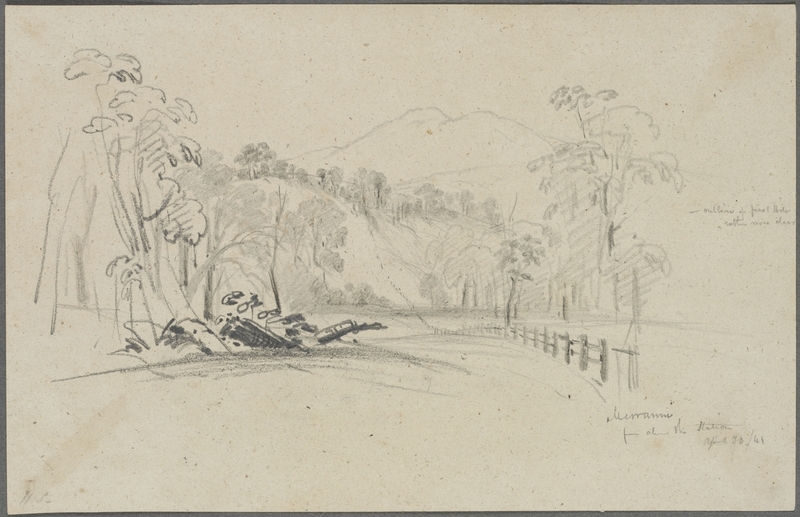 Today they reach Brook’s holding near Boolaroo. 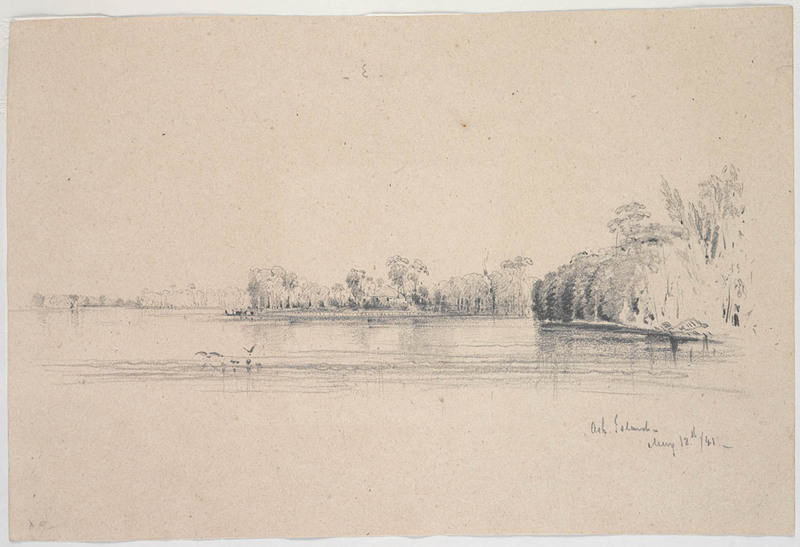 At Threlkeld’s Estate, Ebenezer, on Lake Macquarie. At Holden’s estate, Newport, Lake Macquarie. They spend the night in Carter’s hut. At Sidebottom’s hut, just north of Wyong. Through Forster’s station near entrance to Tuggerah Lakes to a point on the coast opposite Bird Island. Return to Newcastle from Brisbane Water. Leichhardt receives news of his sister Mathilde’s death and learns that Strezelecki is about to leave Newcastle. 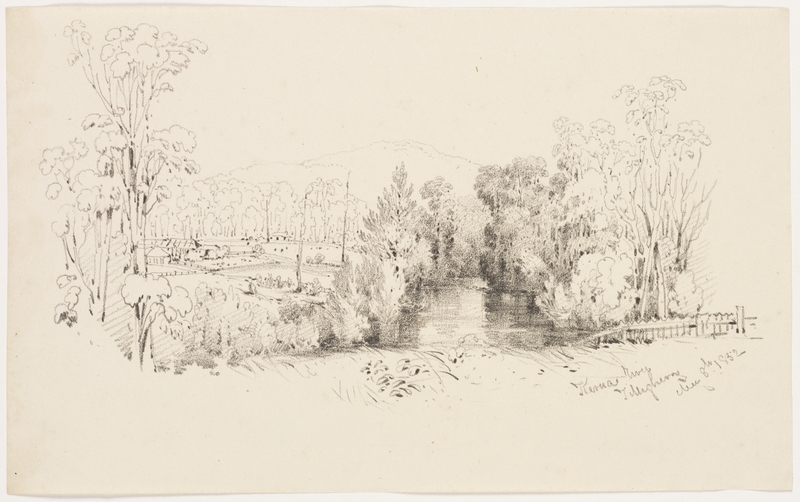 – accompanied by Mr Flood to Brisbane Water, 1st day Lake Macquarie, 2nd day coal mines at Mr Threlkeld’s, 3rd day Newport, 4th day travelled to Tukkerah Beach Creek, 5th day arrived West Gosford near Brisbane Water. 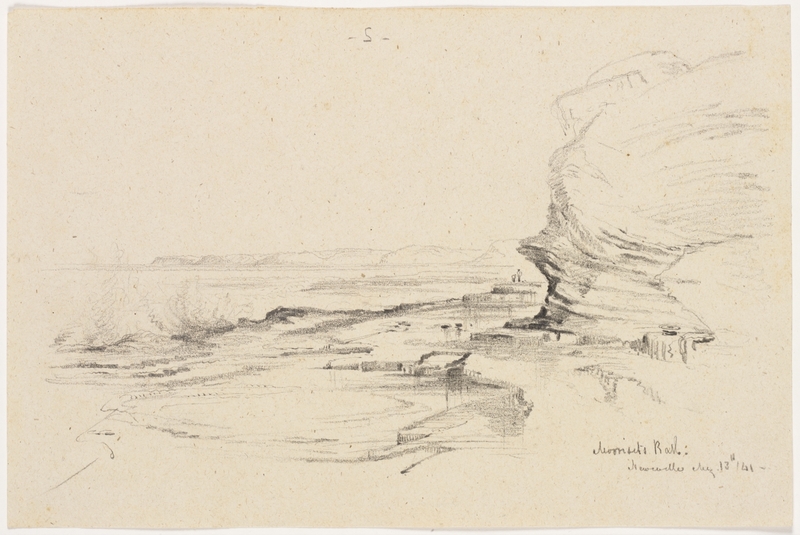 – Returned from Bribane Water 1st day to south of Tukkerah Beach to station of Mr Foster, walked up the beach till opp. Birds Island, 2nd day walk to and arrive at 3pm to Lake Macquarie, 3rd day returned to Newcastle. Bushfires in swamps. Went alone and on foot to the southern headland of Port Stephens (see letter 72). 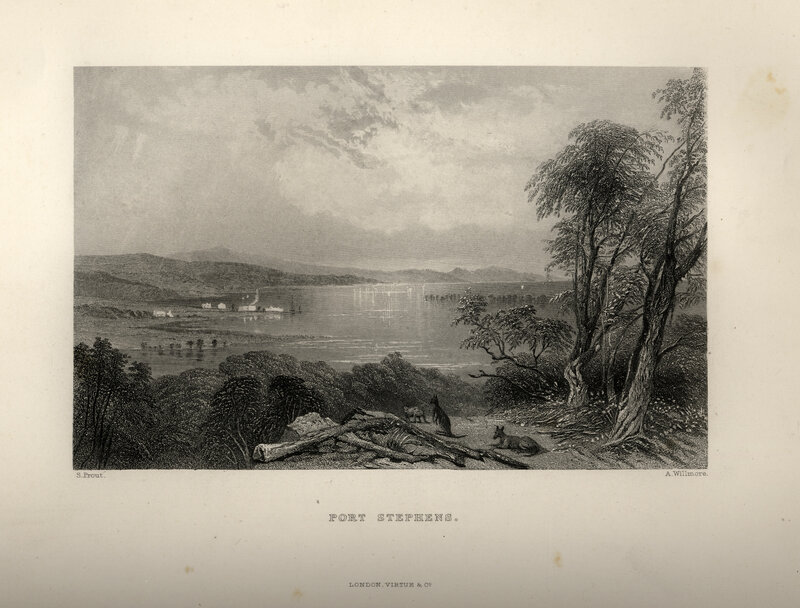 See below an engraving by Skinner Prout from around 1841 of Port Stephens as it looked close to the arrival of Leichhardt in 1842. 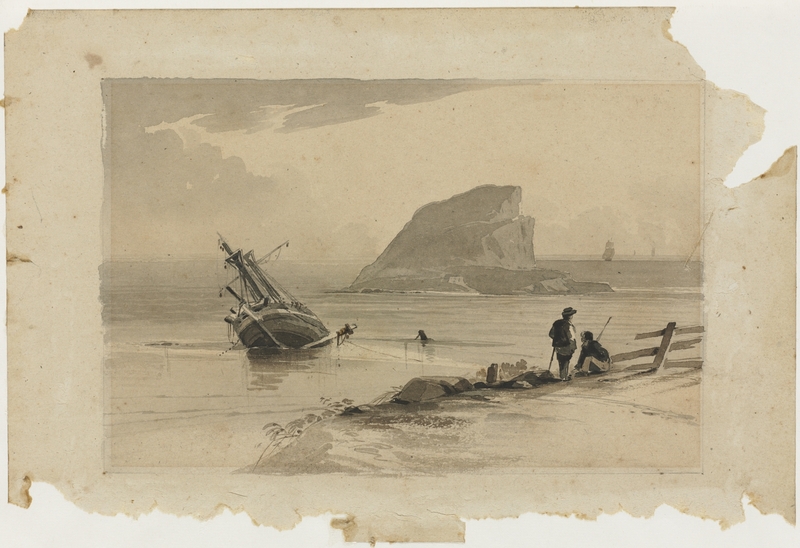 “Port Stephens” by S. Prout and A. Willmore. facing page 129 from Australia by Edwin Carton Booth, F R. C. I. 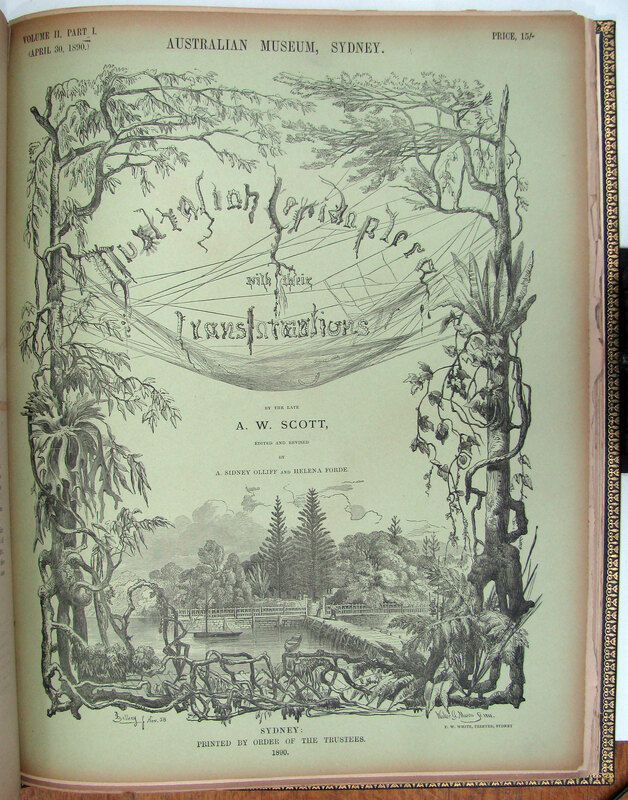 Illustrated with Drawings by Skinner Prout, N. Chevalier, &c. &c. In Two Volumes Vol. II London Virtue and Company Limited (1873-1876). Leichhardt returns from walking expedition to Port Stephens after 4 days in the bush. Walks along Stockton Bight finds cask on the shore full of fresh water. Leichhardt on a wallaby hunt. He leaves Newcastle on foot for Calvert’s holding. Buys a horse from Calvert. 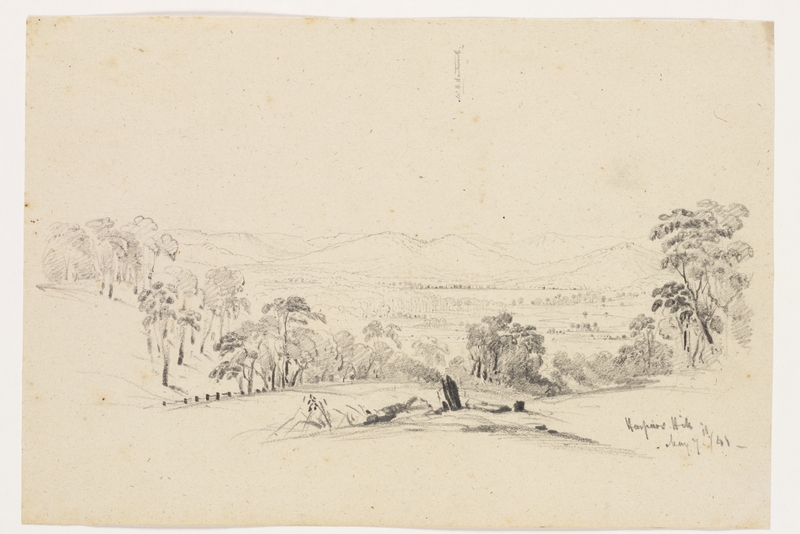 (Letter 77) Leichhardt reports that left Newcastle and visits Mount Sugarloaf (9th), then Mr Scott’s Cattle Station at Minmi, From Minmi to Harper’s Hill, Visit to Mr Wyndham, Mr Kelman vineyard, takes 14 days to reach Glendon (from the 20th December 1842 to arrival on the 2 January 1843). 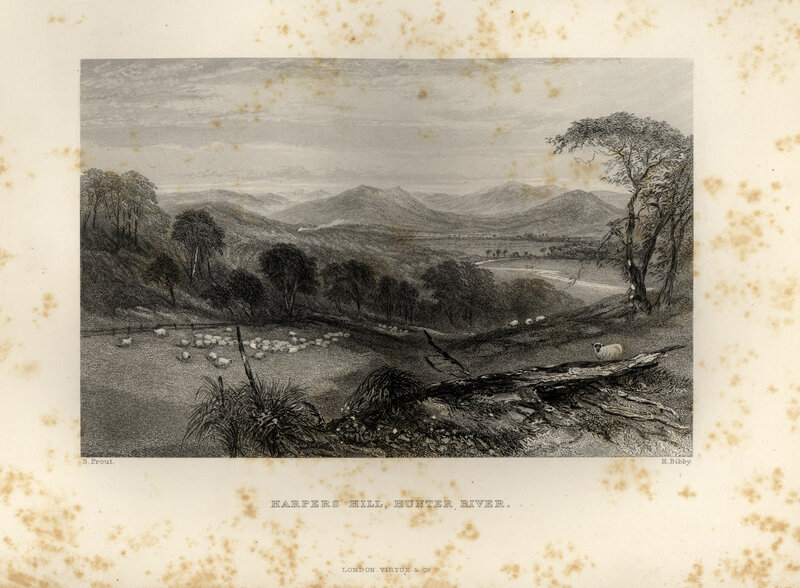 Plate “Harpers Hill, Hunter River” S Prout H. Bibby facing page 128 from Australia by Edwin Carton Booth, F R. C. I. Illustrated with Drawings by Skinner Prout, N. Chevalier, &c. &c. In Two Volumes Vol. II London Virtue and Company Limited (1873-1876). Excursion with Porter to Black Creek and Blind Creek. Then with Porter to visit Kelman’s vineyard sometime after the 17th December. 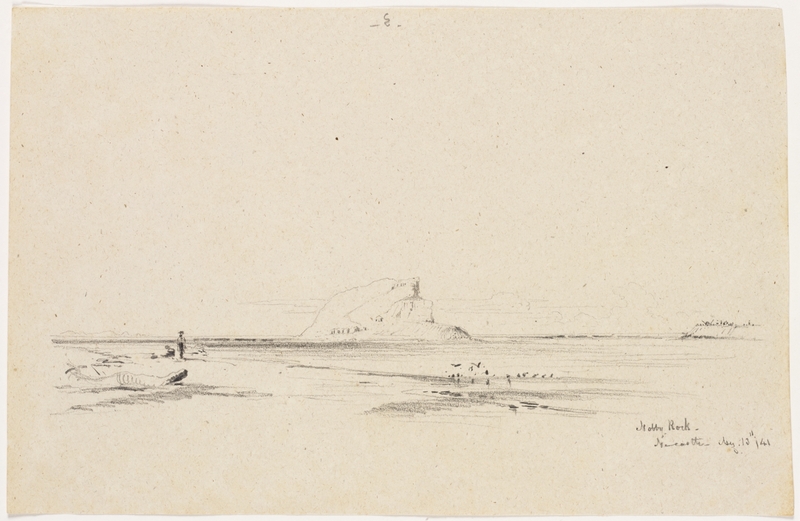 f.70 Glendon. Unsigned. Dated ‘May 5th, 41’. Titled at lower right. Leaves Glendon. First notices the great comet of 1843. Fantastic work! This sort of history needs to be told and retold, the connection between the old and new, then and now.